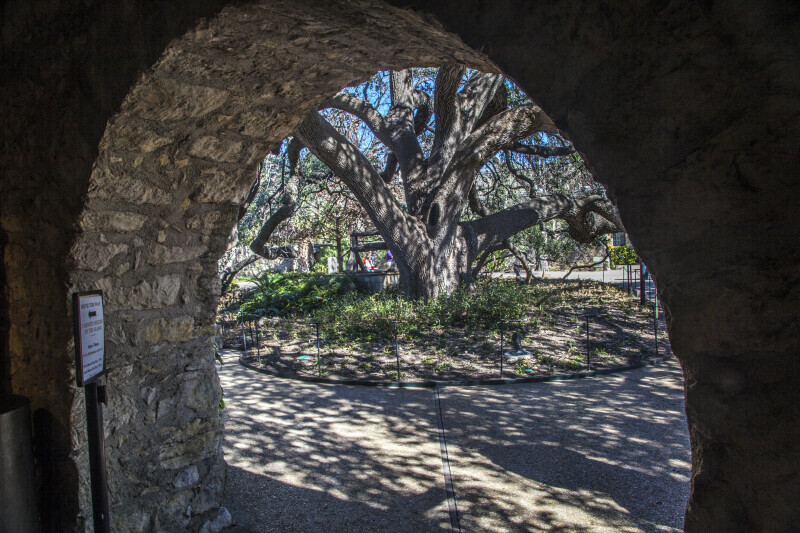 Pictured is a view of the Live Oak at the Alamo, as seen through a stone archway. This mammoth tree grows in the Convento Courtyard next to a wall of the compound. This tree was transplanted here in 1912.